Most people who only have a casual interest in their hair, usually revolved around how it looks and which conditioner they like best, probably don't consider all of the many factors that cause their tresses to look the way they do. This is a common reason some women don't understand why, after following the same steps and using the same products of their favorite YouTube guru/celebrity/real life hair inspiration, their style fell short. Besides texture, including the density of hair strands and whether you have fine or coarse hair, porosity plays a role in how your hair behaves. The reason tresses behave this way is because the hair's cuticles, which lay flat when healthy, have been lifted and are no longer in an optimal healthy state. So what makes hair high porosity, anyway? If your hair is in this condition, getting it back into healthy shape is going to take time and effort. You may have to stop doing some things that got your mane in this state to begin with. First things first: Hair that's already damaged isn't going to magically repair itself, and a cut or major trim is the best way to start on the road to a well-conditioned mane. Now, you need to drastically minimize your heat usage and only have chemicals applied (if at all) in a salon setting. Take a look at the products you use. If you own any sulfate-laden cleansers, with the exception of clarifying shampoos (which should only be used occasionally), toss them out. You need ultra-moisturizing cleansers that contain no harsh, drying sulfates. Next, you need a dose of protein, and as soon as you can possibly get it. Protein treatments come in different forms. If you're experiencing severe breakage due to high porosity damage, you may need an emergency product like ApHogee Two-Step Protein Treatment. An intense treatment like this only needs to be applied once and you must follow all directions carefully to avoid further damage. Less severe damage can be managed with maintenance protein products like ApHogee Keratin 2-Minute Reconstructor or Keraphix Restorative Strengthening Conditioner. Protein will strengthen your hair, but it's also drying, so even with breakage, you should have more conditioning than protein. Black hair requires a lot of moisture when healthy, so when it's high porosity, it needs it even more. 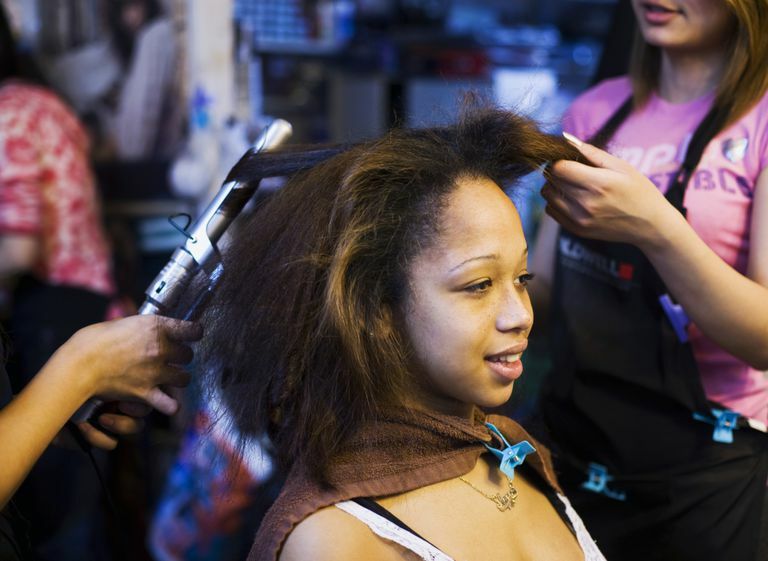 Get into the habit of weekly deep conditioning, with mild protein treatments applied about once or twice per month. The goal here is to manage your damaged tresses while promoting healthy new growth that doesn't become high porosity. It may take weeks or months before you notice a difference, but as long as you're practicing good hair care, your tresses will eventually get healthy again. Remember: minimize heat, use chemicals wisely (or not at all, including bleaching colors), stick to moisturizing products and treat your tresses with TLC. You can get a handle on damaged, high porosity hair and grow healthier, medium to normal porosity hair this way instead of living with breakage and frizz.